In the words of the late, the great Michael Jackson: “This is it!” One more sleep before the race, and a long one too as we are given an extra hour leaving British Summer Time. Having spent most of my week in bed with the flu, do I feel ready? Probably not. Does that matter? Probably not. Because tomorrow, come rain or shine ( probably rain) I will be starting at the O2 with my very cool sister. She actually has a real job, saving lives and has been training in her hours after work and in her free weekends. We decided not to run for a charity, just for ourselves: and she doesn’t even like running that much. She only signed up because I asked her to join me: because I needed a project to cling on to in my unorganised life; a life which at that point in time didn’t even have a proper postal address. 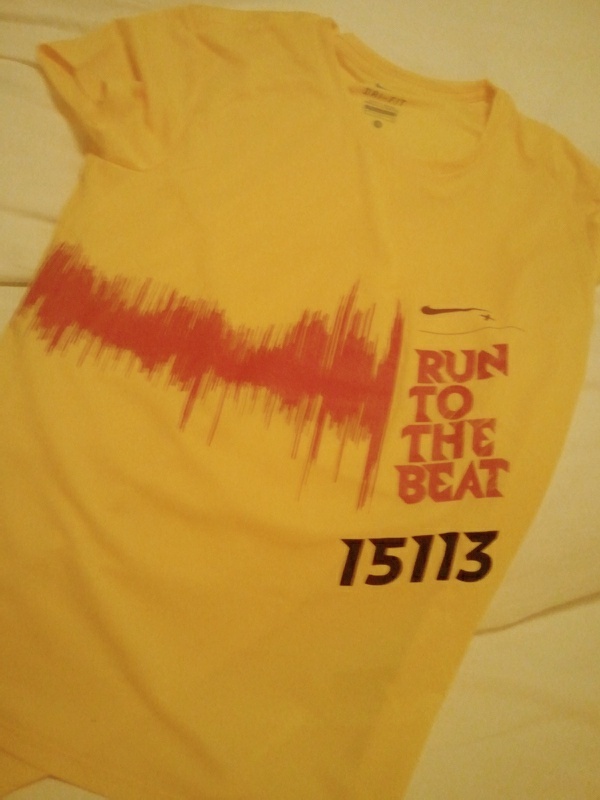 So she used hers and last week the runners pack arrived there: timing chip, wristband and the optimistically short-sleeved shirt with starting number printed on the front. To be shown at all times. Yesterday the rain and the cold came for real: my parents’ flight was delayed because of snow. This morning my very cool sister suggested a long sleeve shirt underneath shirt option after tomorrow’s forecasted rain and wind. After initial hesitation (last-minute change, can’t cope!) I just tried on: it was the best idea ever. Did I mention she doesn’t even like running that much? She’ll be there. She’ll be running – so tomorrow, rain, snow, gales, full-blown fevers: I shall be running too.